Astorga L, Shirk D (2010) Drug trafficking organizations and counter-drug strategies in the U.S.-Mexican Context. 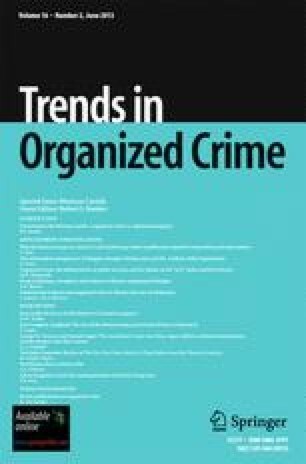 In: Olson E, Shirk D, Selee A (eds) Shared responsibility: U.S.-Mexico policy options for confronting organized crime. Mexico Institute, of Woodrow Wilson International Center for Scholars, and Trans-Border Institute (TBI), University of San Diego (USD), Washington, DC, San Diego, http://www.wilsoncenter.org/topics/pubs/Shared%20Responsibility--Olson,%20Shirk,%20Selee.pdf.